So what else is included with the sample project? Class Skills: The skills from each of the 12 classes in Octopath Traveler have been remade in this sample project! 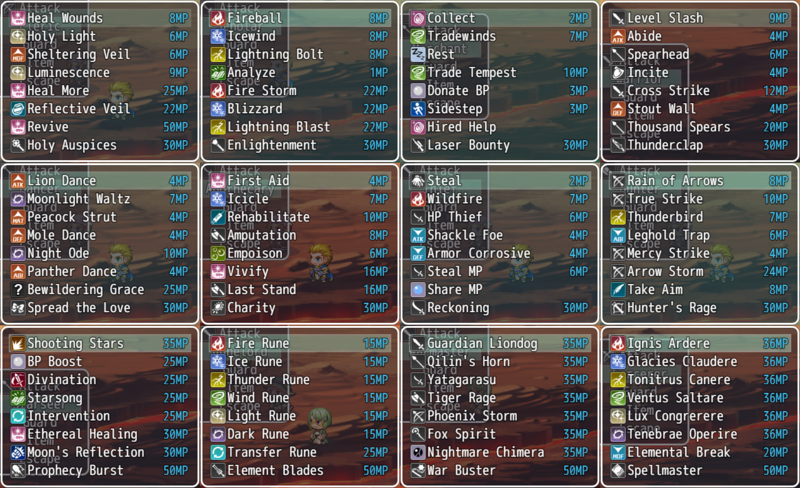 Full Database: There is a full database of classes, skills, items, weapons, armors, enemies, troops, and states! 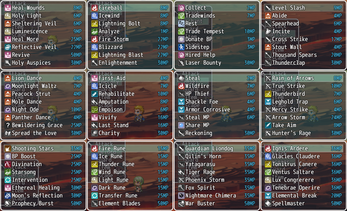 The 12 classes and their skills are there, 40+ items, 200+ weapons, 400+ armors, 200+ enemies, and 40+ states! 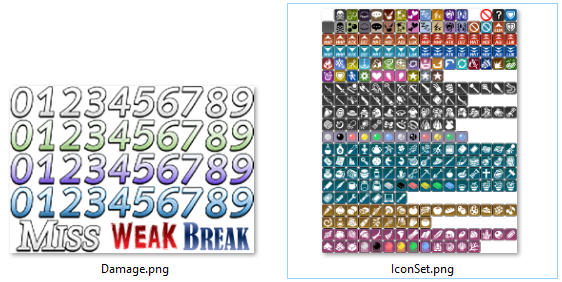 Many of which even have custom effects! Armors and enemies even have their own stats and weaknesses that are unique from each other! This is a lot to get working with and give you ideas for what kind of game you want to make! 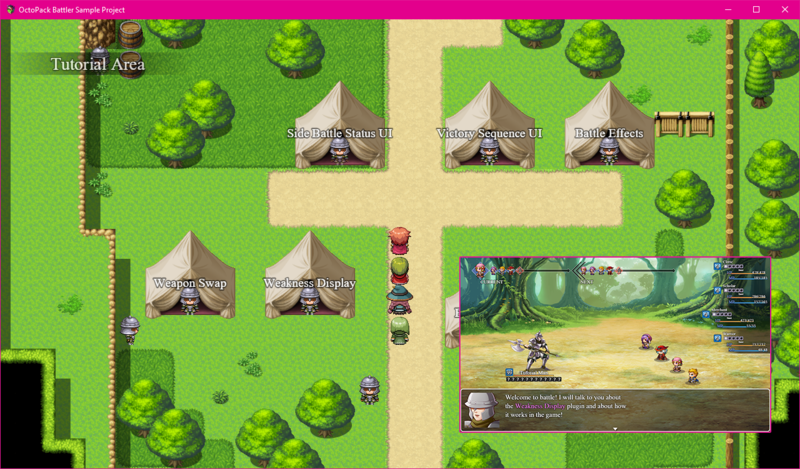 Tutorial Area: A tutorial area to explain to you, the game developer, how the battle system works. 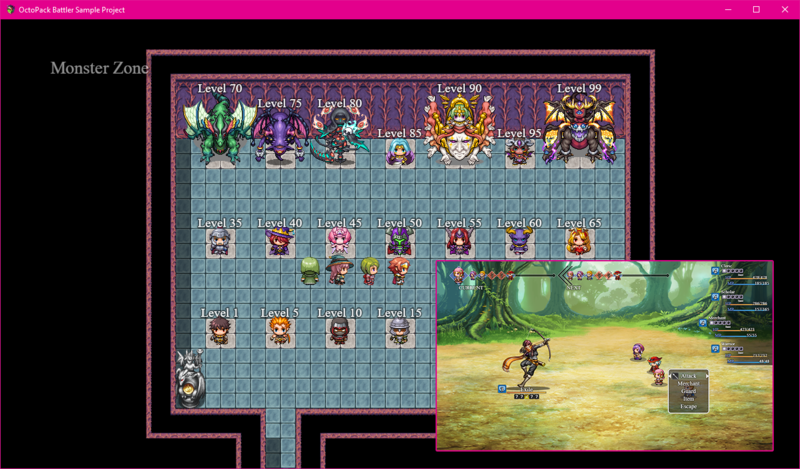 By the end of the sample project, you will have mastered the Order Turn Battle system and have a clearer understanding on how to make a game with it. Monster Arena: Made using the 200+ enemies to create a monster area. You can test out fights against random encounters or even boss fights suited for various levels from level 1 to level 99! Other Unique Assets: The sample project will also include a modified version of Lady Luck's Octopath-like Damage for RPG Maker MV and updated icons suited for the battle system that I've added myself! What can you do with the sample project? 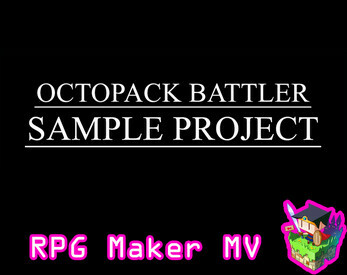 If you buy it, you can create a game on top of it, use the skills I've recreated, use the items, weapons, armors, states I've made, modify them if you want to your liking, or just even release a full game using the systems I've set up inside of it! You can even move the database items over to your own project, too, but you will need to change some of the settings on some of the effects of certain database items. If you are using this plugin, please do not use the other 8 plugins listed or else there will be errors. If you have configured the plugin parameters for those individual plugins, you will unfortunately have to reconfigure them for this one again. I'm afraid there is not anything I can do about that and I must apologize for it. For the best compatibility, place this plugin close to the BOTTOM of your plugin list. 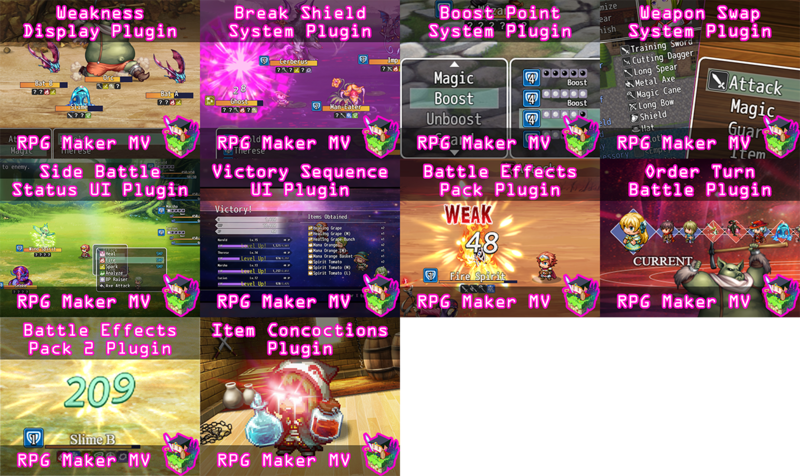 This is to ensure the features of this plugin will be used and that other plugins do not override this one. 5. You are NOT allowed to redistribute these Plugins and Sample Project. Sep 18 2018: Bug Fixes. Mentioned here. Sep 19 2018: Bug Fixes. Mentioned here. Sep 20 2018: Bug Fixes. Mentioned here. Sep 21 2018: Major update! Mentioned here! Sep 25 2018: Major update! Mentioned here! Sep 26 2018: Bug Fixes. Mentioned here. Sep 28 2018: Bug Fix for Item Concoctions, details here. Sep 30 2018: Major update! Mentioned here! Oct 2 2018: Updated Sample Project's Anti-Player Stress Plugin to latest version. Oct 7 2018: Major Update! Mentioned here! 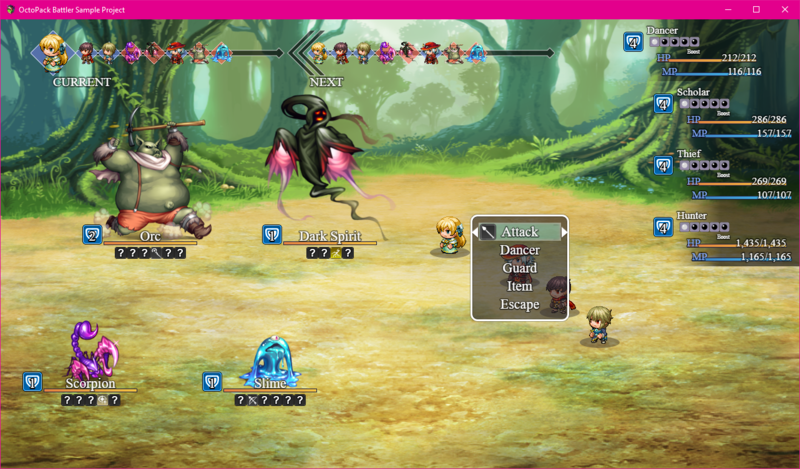 Oct 16 2018: Bug fixed for Side Battle UI. Can now display more than 4 states if chosen by plugin parameter settings. Oct 23 2018: Bug fixed for Weapon Swap System. Battle Test Weapon plugin parameter now works properly.